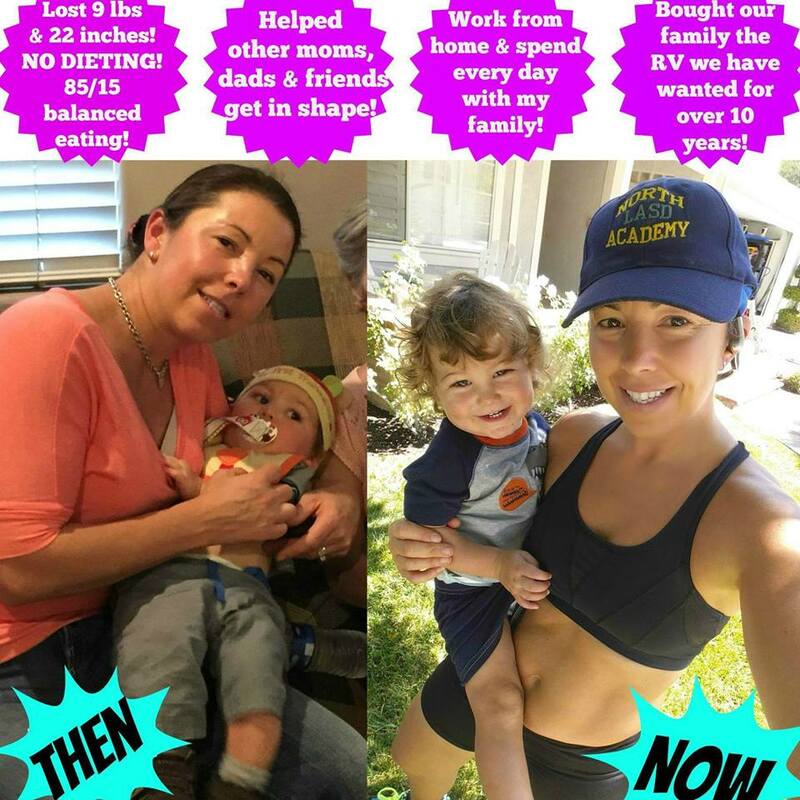 Fit Fluential Mom: How I Overcame Hashimotos and Hypothyroidism! How I Overcame Hashimotos and Hypothyroidism! This blog post was prompted by a motivating group of ladies that are going through the same struggles I went through for over 15 years! I was diagnosed with thyroid issues about 15 years ago. It started off as hypothyroidism and it wasn't until a little over 2 years ago that I finally found an endocrinologist that really listened to me and took his time. He diagnosed me with Hashimoto's, which is what I suspected all along. I struggled with infertility for years before finally conceiving my daughter after 2 years of treatments. I had VERY irregular periods before her and, after having her, I went almost 8 years without a cycle at all. I battled depression, PPD, anxiety, weight gain, fatigue, etc. The ONLY time I was happy and my body felt normal was while I was pregnant, ironically enough! I tried everything under the sun. I then became pregnant again out of nowhere (since I didn't get periods) in April 2013 and that changed everything for me. I didn't want to go through the depression, weight gain, PPD and overall crappy feeling I went through with my daughter again so I started researching EVERYTHING. I tried levothyroxine for years and it gave me severe headaches. I then switched to Synthroid and seemed to be ok but then my T3 went wacko after my first pregnancy so my doctor added Cytomel to the mix. When he realized I was breastfeeding, he took me off of it because he said it wasn't "safe". Well, if it wasn't safe for breastfeeding, I didn't want to take it at all, breastfeeding or not! That's when I found Armour Thyroid. It's a natural vs synthetic thyroid stimulant derived from pig thyroid. It helps balance both TSH and T3 so it was a good solution for me to avoid anything synthetic AND avoid having to take Cytomel. That helped balance my levels but my milk production was still low due to my underactive thyroid. I was still tired but not as tired. I was also still gaining weight. I gained weight while breastfeeding both babies because I was SO hungry. I didn't overeat but because of my hypo, eating even normal amounts brought on the weight. That's when I was introduced to Shakeology. I was VERY skeptical. VERY is putting it mildly. Number 1, it's NOT cheap. In fact, it's expensive and considering I had JUST left my full time job as a deputy to only work a few hours a month, it was not likely to be a possibility. BUT I spoke to my husband and we both agreed that, if it helps, it's worth it. AND it's the cleanest shake out there so I wanted to give it a shot. My kids loved drinking smoothies and our protein shakes and I figured this was a healthy way for us to be able to share with them. So, I gave myself 1 month. If I saw no changes, I'd pack it back up (even if it's empty, that's their return policy) and get my money back. I am not kidding when, after about 3 weeks of having my Shakeology every single day, I had to try and remember when my last day of feeling super tired by 3pm or my last day of feeling totally depressed, not wanting to get out of bed was. I had energy WIITHOUT drinking coffee (since I had cut that out because I REALLY wanted to see if Shakeology would give me the non-caffeinated energy it promised). I was full and not craving crap like chocolate, cookies, cake, eat all day long anymore. It was honestly a HUGE turning point for me and it made me understand why SO many people are such believers of it! What I believe is in Shakeology that truly helps those with thyroid issues and other endocrine disorders are the adaptogen herbs and proprietay blends that are all combined in one meal to give you the maximum number of nutrients in one sitting. And not in a multivitamin but in a meal or snack. It's a natural blend of ingredients which was HUGE for me. Soon I started exercising again, something I always loved but, after Evan (my 2nd baby and my miracle), stopped because of the depression, lack of energy, weight gain and just feeling disgusted. I also couldn't go anywhere because he was so tiny. I started working out at home with some programs and decided to become a coach. I felt I had to share this and help as many as I could. Years ago, I was approached to become a coach and never even thought twice about it. I was sure it wasn't for me. I was a gym rat and like I said earlier, I wasn't going to spend a lot of money on a dumb "protein" shake. Little did I know! Now I wish I'd tried it sooner! I started using the 21 Day Fix program to learn how to eat balanced meals and watch my portions. I also loved the workouts it came with because I was able to workout at home with my baby either awake or while he napped. I lost 9 lbs and over 22 inches in a few months (had to go slow since I was breastfeeding) and I haven't looked back since. I have grown in strength, mind and body since I started this journey. I have been mindful of how I feel when I eat well, and when I don't. When I have my Shakeology and when I don't, and when I exercise and when I don't. For me, exercise is my Prozac. I have to make it a priority whether I'm tired or not. And when it's only 30 minutes a day, it's totally doable. It's even more so when I can include my kiddos and they join me! Fast forward to now, and I still feel amazing! 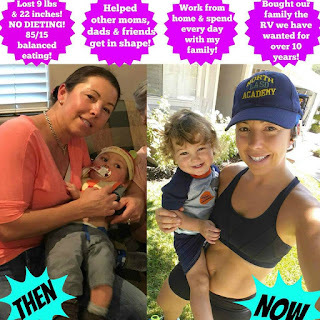 I've been following my routine with Armour, Shakeology, balanced nutrition and regular workouts those since my son was 4 months old and I feel amazing FINALLY! I stopped breastfeeding him after 24 months (even though Drs said my supply wouldn't last more than 2 months) and 2 months later, I got my menstrual cycle again too after almost 8 years! I have energy, I still have to eat well and workout regularly to maintain my weight BUT my perspective on this has completely changed and it's 100% manageable!